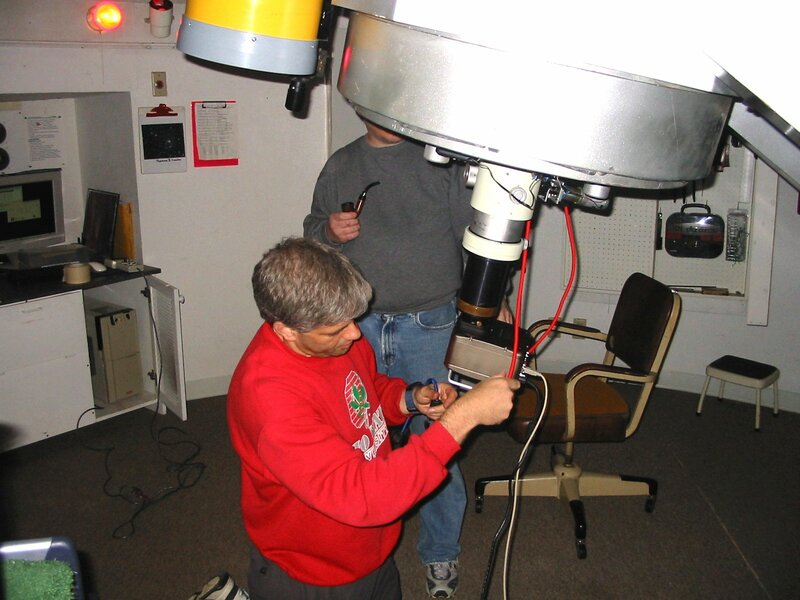 The scope is housed in a 20’ diameter dome designed and constructed by the members. 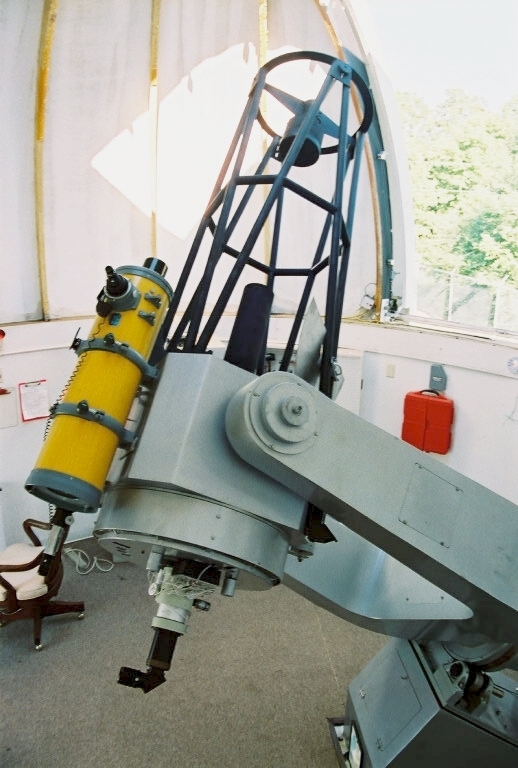 The floor of the observatory is elevated approximately 3 feet off the ground to eliminate ground effects. 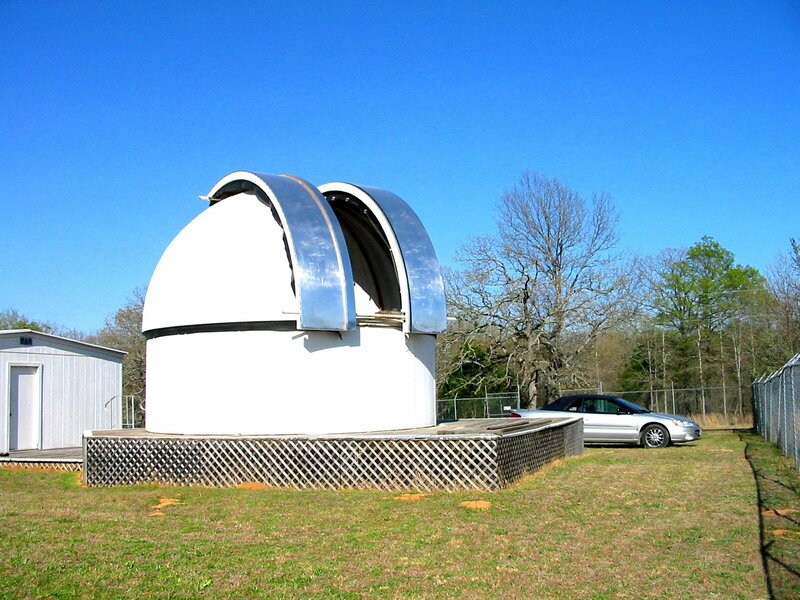 Adjacent to the observatory is a 24’ by 24’ clubhouse, which features a lounge area, full kitchen, bunkroom, and full service bath. It is heated and air-conditioned. 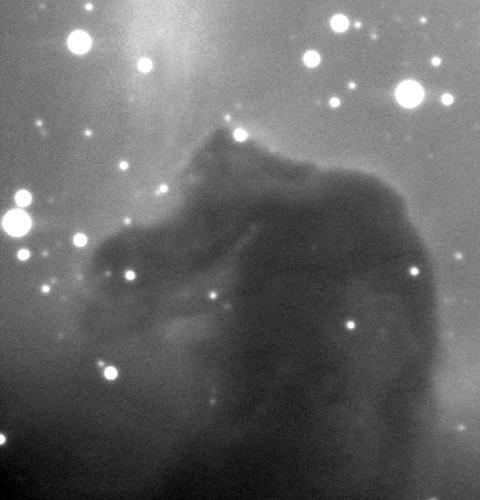 Typical Moon image and size of Horsehead in lowest power eyepiece. 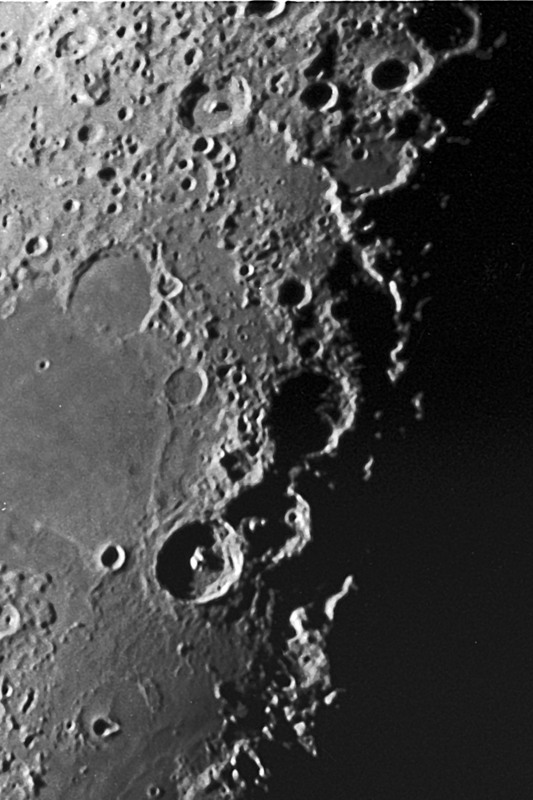 The f/16 focal ratio yields very large imges.